Firefighters had to deal with freezing rain and frozen ground while battling the blaze that broke out at Keokuk City Hall on Tuesday night. And while the fire took a heavy toll on the two-story brick building at 415 Blondeau Street, not everything was lost. Fire Chief Gabe Rose said the call came in to his department at about 7:30 p.m. He said immediately upon arrival, an “all-call” was signaled, bringing in off-duty firefighters as well. Rose said it took about 30 minutes to put out the fire. The hallway leading to the rear of Keokuk's City Hall. It's believed the fire started in that portion of the building. Rose said the only injuries of note were the firefighters who slipped on the ice during the response. The chief said the fire started in the back of the building and quickly spread to the front, but a cause has yet to be determined. Rose said the first floor has substantial damage from fire, water, and smoke. He said the basement sustained water damage and the second floor sustained water and smoke damage. 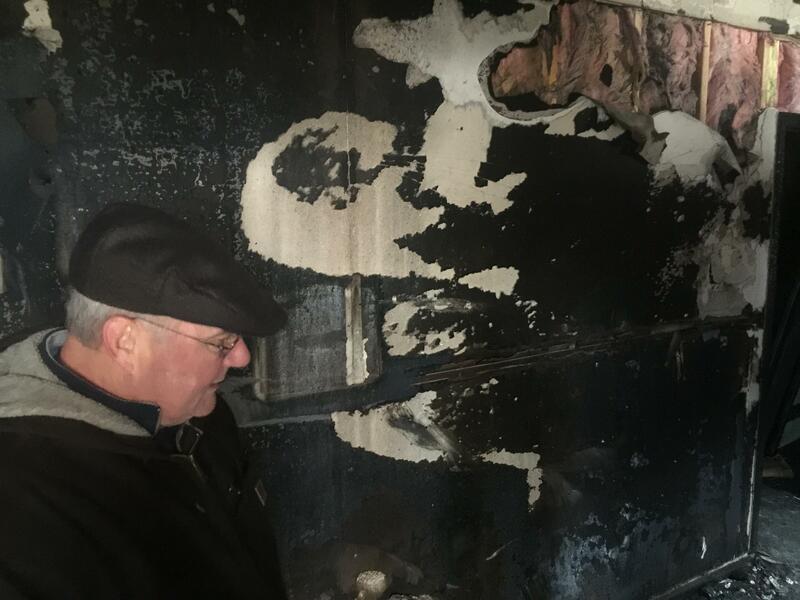 Mayor Tom Richardson said he was stunned when he learned of the fire from his granddaughter. Chief Rose said once the fire was under control, firefighters were able to enter the building and save several items. He said they started with the city’s computer server. The firefighters were also able to save an item for Mayor Richardson. Richardson said the fire did not reach his office, which is in the front of the building, but the office did sustain heavy smoke and water damage. Mayor Tom Richardson looking at the wall that once held a large color map of Keokuk. He said in his office was a plaque that featured his father’s purple heart from World War II and a couple other pieces of memorabilia related to his father’s military service. Richardson said a firefighter told him he could go in and grab anything he needed. Richardson said he asked only for the plaque. City Administrator Cole O’Donnell said he was also able to salvage a collection of items from his grandfather’s service in World War I. He said all the other personal pictures from his office are gone. 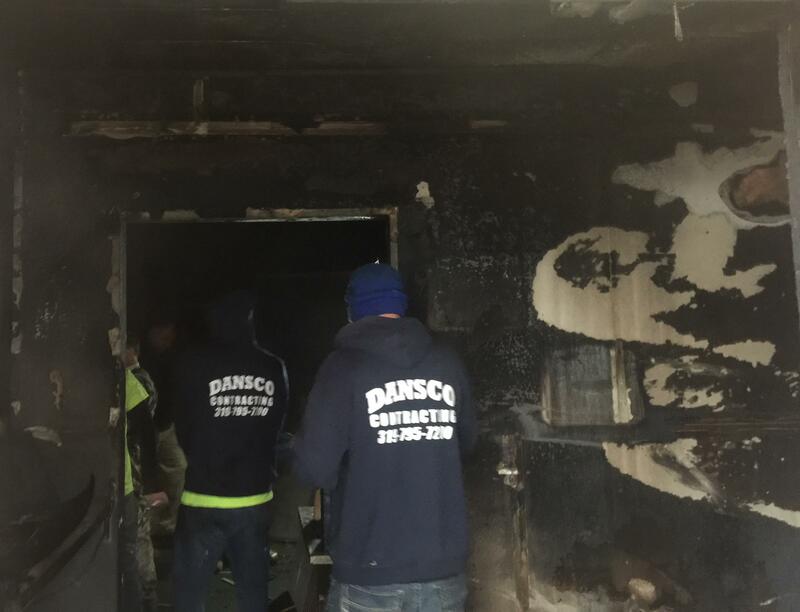 O’Donnell said after learning of the fire, his city administrator “switch” kicked in. He said he immediately contacted the insurance company to start the claim. The smoke damage is apparent above the awning. O’Donnell said the city will temporarily relocate City Hall to the third floor of Pilot Grove Bank at the corner of 6th and Main. He said efforts are underway to get internet and phone services transferred over as well as to get the city’s computer server up and running. O’Donnell said the Feb. 7 city council meeting will also be held as scheduled with a new location: the former Torrence Elementary school, which houses the school district’s administrative offices and preschool. O’Donnell said the discussion will soon shift to finding a new permanent home for city government. Mayor Richardson said the employees who work at city hall are spread out. 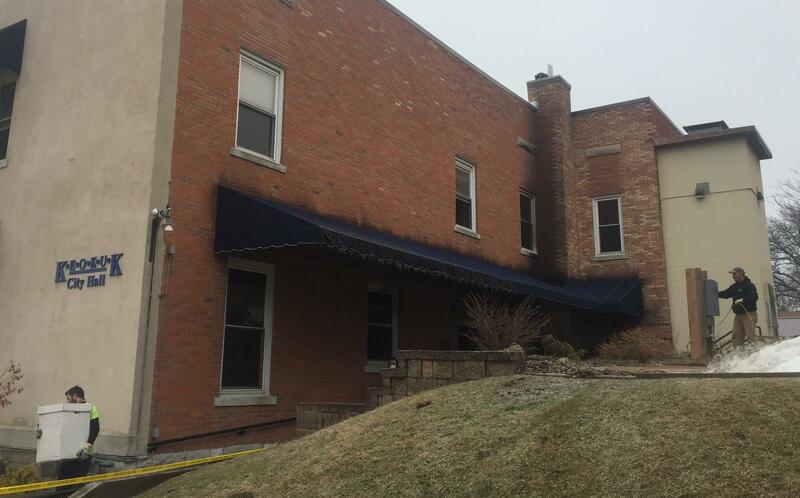 Some are helping to clear what records can be saved from the building while others are preparing the new temporary office at Pilot Grove Bank. 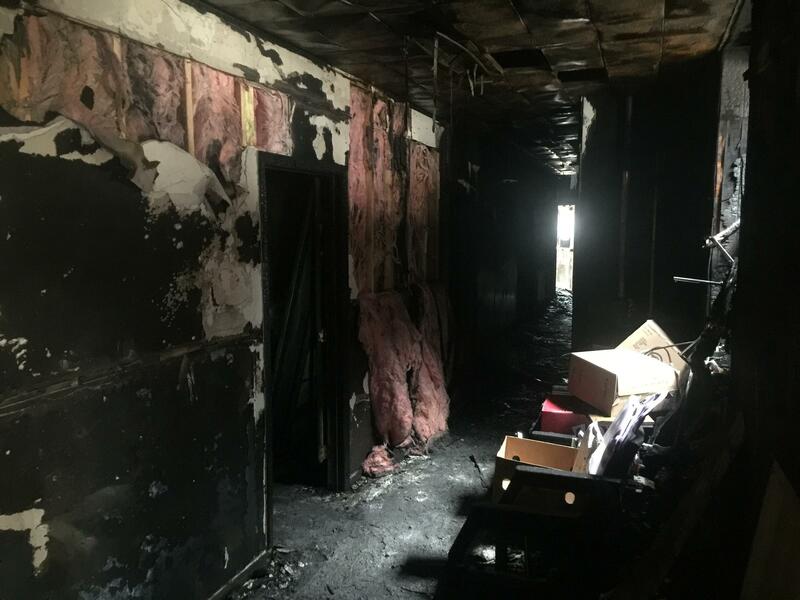 Volunteers and city staff worked throughout Wednesday morning to remove items that were not damaged in the fire, including filing cabinets and other documents protected in the city's vault. Richardson said the community has responded as well: restaurants have offered to feed employees, contractors donated employees to remove items and equipment, and businesses offered up space for city government to operate. The Tama Building in downtown Burlington is considered a total loss following a fire that started late Saturday night. The building was in the final stages of a multi-million dollar restoration project that included upper-story housing and ground level commercial space. The unveiling of the route for this year’s RAGBRAI offered a twist: two stops along the Mississippi River in southeast Iowa. The head of the annual bicycle ride across the state said the idea is to keep things new and exciting.